Today we are talking all about the harvest decision for bucks and how we have arrived at the buck harvest goals we have on public and private property. 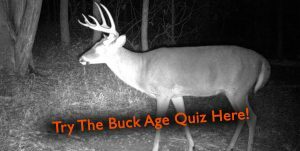 Everyone has the right to decide whether or not they want to harvest a legal buck or not. We are talking about this decision and the dynamics between hunters and their different views on passing bucks. To finish off the episode we talk about the bucks we are watching for this year and what it will take to make us pull the trigger on a buck.